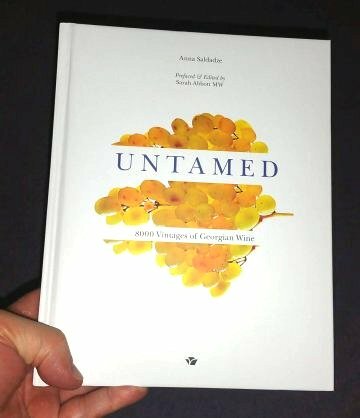 Untamed: 8000 Vintages of Georgian Wine by Anna Saldadze, hardback, available online from various places for £25. My initial impression on opening the book was very favourable. It is not exactly what I would call a coffee-table book, as its dimensions (24.5 x 19.5 x 2 cm) are too modest, the images not dominating enough, and the text is too good. But it is certainly beautifully designed in a quiet sort of way, with the text nicely laid out, and excellent photographs and illustrations to complement the text. Even the maps, one of my biggest bugbears in most wine books, are both attractive and useful. 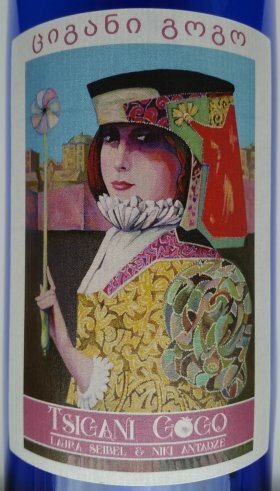 The text also reads well, in a gentle and relaxed style, leisurely almost, in keeping with the general feel of the book. The named sections cover the topics outlined here… The Quest gives background cultural information on Georgia and its wine. The Modern Pioneers is about the recent trend towards commercialising natural qvevri wines. Strangely, this section ends with a selection of label images from many different types of wine – not just the natural qvevri ones – each with a short winery profile. The Qvevri is unsurprisingly about qvevri, and qvevri winemaking, and A Joyful Spirit is, less obviously perhaps, about the Georgian supra feasting tradition. This is followed by what for me was the most interesting section, as it covered ground I was less familiar with – The Estates describes the history of three large wine estates that were established in the 19th century when Georgia was part of the Russian empire, and tells how they introduced modern European wine technology into the country. The final main section is the longest – Regions, Grapes and Wines, looks at the regions of Georgia, some of which are PDOs as the book calls them, or appellations if you prefer. This is where you will find the maps I referred to above, along with high quality ampelographic images of the vines most typically associated with each regions, and accompanying text. 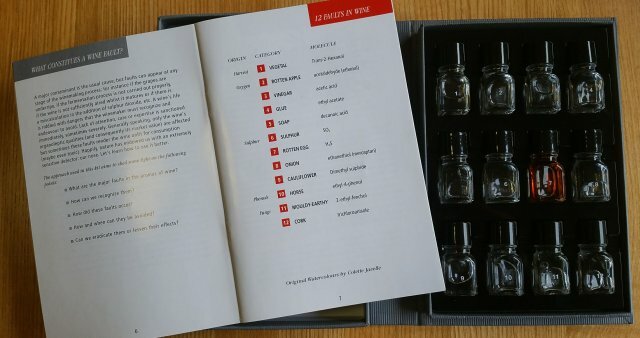 There follows 5 annexes, which seem to contain bits and pieces that were deemed not to fit into any of the other sections, and then a massive list of Georgian grape varieties, in both Latin and Georgian script. Presumably the point of this list is to ram home the vast number of native grape varieties Georgia has – 525 according to this book and many other sources, but it has never been made clear to me where this precise number comes from. And I am still none the wiser as to the source of that number, nor where the list in this book comes from. I note that it is not the same as the list at the back of Georgian Ampelography, and neither is it the same as the list of native Georgian grapes you get from the Vitis International Variety Catalogue database. At the end of the author’s introduction, she writes “This book is a humble introduction to a complex wine culture. It is neither an ethnological study nor an œnological treatise, nor does it claim to be exhaustive. It merely aims to arouse curiosity, and to encourage the discovery of something which is at the some time very old, and yet also very new”. Those goals are certainly successfully achieved, and with a degree of aplomb. I do wonder though if you, as a reader of my blog, might be expecting more of the œnological treatise that the book was never intended to be. But take it on its own terms, as an introduction to a complex wine culture, and you will not be disappointed. I first came across Thymiopoulos in 2015, on a press trip in Northern Greece. They had a modest table in the corner of a walk-around tasting of Naoussa producers. At the end of a long day of eating well, drinking and tasting, my palate was jaded, and the rest of me felt a bit out of sorts too. Yet somehow the Thymiopoulos wines grabbed my attention. In contrast to most Xinomavro wines in the room, which seemed hard work for me at the time, those of Thymiopoulos stood out for their approachability. Under other circumstances, the other wines may well have been more appealing – I am certainly not averse to austere and astringent wines – but, in my fragile condition that evening, no thank you. According to The Wine Society, the Thymiopoulos family has been growing grapes for generations, but only in 2003 did they start making their own wine. Since then they have considerably expanded their range and have converted to biodynamic viticulture, all the time building up an excellent reputation for quality. In The Vineyards and Wines of Greece 2017 by Yiannis Karakasis MW, the winemaker Apostolos Thymiopoulos is said to be considered “one of the stars of Greek winemaking” and “is credited with having shifted the flavour tone in Naoussa with his wine Earth and Sky by achieving that elusive combination of a strong tannin structure with a rich palate and fruity depth”. In the same book, Thymiopoulos is listed as one of the 6 best producers in Greece, and Earth and Sky is one of the top 10 indigenous Greek red wines. Jancis Robinson has also recently been praising Thymiopoulos wines, selecting the Jeunes Vignes in her recent Wine of the Week feature (only available to subscribers). Back in the time I visited Northern Greece, even though Thymiopoulos were making a cheaper Naoussa for Marks and Spencer, the availability of their wine in the UK was quite restricted. But now things are looking up, and currently The Wine Society stock a particularly good range. So, for a local tasting group, a couple of weeks ago I bought five Thymiopoulos wines made exclusively from the Xinomavro grape – four reds of the Naoussa PDO, and one rosé. Also two Rapsani PDO wines, red wines made from roughly equal parts of Xinomavro, Krassato and Stavroto. Here is the bottle line-up (click on the image to enlarge and see the labels more clearly). I was pleased to note that most of these wines were sealed using Diam corks. Only Earth and Sky and Karavas, the most expensive wines of each PDO, used natural cork, and as far as I know they were also the only two oak-aged wines. I double-decanted all wines a couple of hours before tasting. They all had some fine sediment that was difficult to remove by decanting, but the sediment was so fine, and there was so little of it, that it was not noticeable when tasting. As usual, the scores below are indicative solely of how much I liked the wine at the time of tasting. All the red wines showed aromas that I associate with the Xinomavro grape – aromas that also remind me of Nebbiolo and which I think of as “tar and violet”. I am however prepared to concede that the description is my rather lazy shorthand for something I have difficulty putting into words. The “violet” bit seems relatively accurate, even if I believe other people use “rose” for the same thing. But the “tar” metaphor is rather over-the-top for a slightly piercing mineral (i.e. not animal or vegetal) note. Another similarity between Xinomavro and Nebbiolo is that, to my taste at least, both share a certain savoury nature, and show relatively little fruit. If all that sounds negative, it is not meant to be. I like both grape varieties very much. 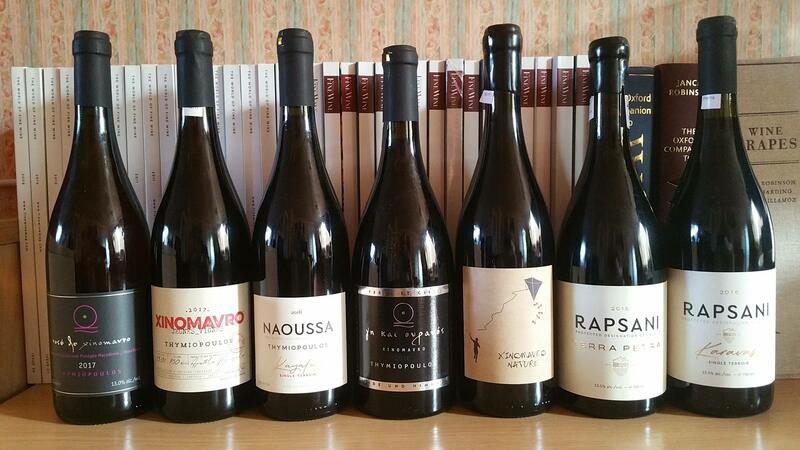 Naoussa wines must be 100% Xinomavro, but Rapsani additionally has Krassato and Stavroto – normally all three varieties in roughly equal parts I believe. I am not sure about the varietal percentages in these particular Rapsani wines, but I cannot say I particularly noticed the influence of the non-Xinomavro varieties. My notes were written as I tasted the wines, and shown above in that order. But I did return to taste and drink the wines a few times, and on the return tastings I must admit I got more and more uncertain about the differences between them. However a few differences continued to stand out. It was clear that the Earth and Sky remained tight and unyielding. Also that both the Earth and Sky and the Karavas showed oaky notes, and they remained the wines I liked least for current drinking. The other three Naoussas seemed to get more similar to each other, becoming equally delicious, with the Jeunes Vignes standing out in terms of value for money. Overall it should be emphasised that we all enjoyed all these wines when tasting them, and later when we drank them with food. Perhaps there is something to be learned about the relative popularity of each wine from the left-over quantities? Well, the rosé remains were taken home by someone, but on the basis of the left-over volumes the order of popularity for the reds (most popular first) was: Karavas, Jeunes Vignes, Kayafaz, Nature, Terra Petra, Earth and Sky. The people have spoken! 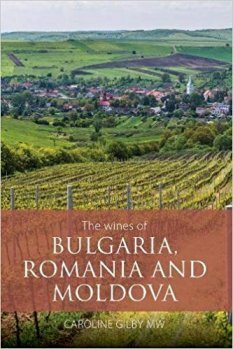 This is a review of The wines of Bulgaria, Romania and Moldova by Caroline Gilby, published by Infinite Ideas. The RRP is £30.00 and it doesn’t seem easy to get it cheaper than that now, but I bought mine with a (now expired) 35%-off discount code from The Wine Society. The single word that springs to mind to describe this book is professional. It is thoroughly researched, carefully and precisely written in a rather dry style, and I think largely aimed at other professionals – wine buyers, and winemakers and investors in those three countries, potential or actual. I suspect however there is little of direct interest to end-user drinkers of wine in the UK, as there are no opinions on specific on wines available over here. Nor is there anything about how we might go about visiting the countries to find out more, should our interest be piqued. Little of interest in a direct way perhaps, but I did find the history sections worthwhile, as they provided good insights into how the current state of wine production came to be what it is, and I expect a lot of the rest of the book to prove useful for reference. As a wine geek, I am more than happy to own this book, even if it does not enthuse me as much as I might have hoped. I have already commented negatively on the author’s short sections in this book on homemade wines, and I think those comments also indicate Caroline’s professional and industry perspective. While I am naturally inclined to defend homemade wines, I can absolutely understand that someone who wishes to encourage the development of commercial local wine production might see things differently. The book’s major division is by parts dealing with each of the three countries. Then for each country there are chapters devoted to history, the current situation and possible futures. And those are followed chapters on grape varieties, wine regions, and producer profiles. At the end of the book are three appendices of statistics, a glossary, bibliography, and index. All the text is very thorough. 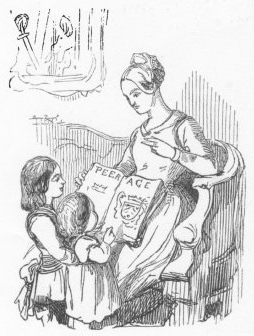 But illustrations, grey-tone and colour plates, are sparse, and in my opinion of very limited value. And as with practically every wine book I read and review, the maps are particularly lacking. I know good cartography is not cheap, but it could contribute so much to a subject where geography is so important to understanding. So definitely a book to get if you have a professional wine interest in Bulgaria, Romania or Moldova, or if you are particularly geeky in your interest in wine. But probably not if you have a more casual interest in the wines of those countries. Intrinsic wine faults – do they exist? As discussed by Jamie Goode in his book Flawless, a wine flaw may be said to be a characteristic of wine that is present to such an extent that it impacts on quality – it causes a wine to be less attractive either to an individual or to an average taster, depending on whether you want a more subjective or objective definition. Clearly though, if you want to use the more objective version you will also need to define average taster. From the attendees in a recent workshop I attended, the concept of the average taster would have been very hard to pin down. There was a wide range of sensitivities to the various flaws we were exposed to, and when detectable they gave rise to different perceptions, both in terms of what they most resembled and how pleasant or unpleasant they were. As explained in my previous post, I think it is helpful to distinguish between two types of wine flaws: faults, which result from the vine growing and winemaking process, and taints, which come from external sources. In that post I also took a quick look at taints, but below I focus exclusively on wine faults. Faults like brett and volatile acidity are thought by many tasters to be attractive in low or moderate concentrations, and this is also true of some reductive notes, which may be regarded as minerality and not considered to be a fault at all. In fact Jamie goes a step further in his book and, referring to the Japanese concept of wabi-sabi, points out that even if a fault is recognised as such, there is an aesthetic view that it can still enhance beauty, or even be part of it. Whether attractive or not, substances that give rise to faults will always be present in wine to a greater or lesser degree. It is also undeniable that whether large concentrations of the substance are acceptable or not can depend on the style of wine. For example, Sherry would not be Sherry without its oxidative whiff of acetaldehyde, but the same nose on a white Burgundy would cause the wine to be sent back in a restaurant. And yet, despite all this, people talk about faults as if they have some sort of objective existence that is distinct from all the good wholesome stuff in wine. The reality of the situation is of course that winemaking gives rise to many chemicals that individually are neither good nor bad, but together create a wine that may be liked more or less by different people depending on the balance between the chemicals, personal taste, context, and expectation. Put bluntly, in the normal usage of the term, wine faults do not exist. Or, to be less blunt: I struggle to see why the concept of wine faults is useful. As discussed above, acetaldehyde may or may not a pleasurable aspect of wine, depending on many factors. But is that not also true of acidity, sugar and alcohol for example when out of balance, or any individual fruit flavour? So why is acetaldehyde then regarded as a potential fault while many other components of wine get away with it? Of course, I am not denying the existence of oxidation, reduction and brett, nor the related chemical compounds that impact on flavour. I am just saying that it is often not helpful to describe them as faults. This is not mere semantic quibbling – the issue runs deeper than that. To declare a wine faulty is to claim a degree of wine expertise, and pronounce a judgement on the wine. Sometimes that is a call that wine professionals may be required to make in the course of their work. And consumers occasionally need to do the same too, when deciding whether to accept a wine in a restaurant for example. Whether or not a wine is faulty also has legal implications in consumer-protection legislation in the UK, as the consumer can claim against retailers for faulty goods – but not, it seems, for a wine that is unpleasantly tannic for example. But those are merely formal and legal aspects, based on the conventional way in which so-called faults are traditionally viewed in our wine culture. The important thing is how much we like a wine, irrespective of whether the cause of our pleasure or displeasure is a fault or not. Your attitude to wine faults will inevitably influence your views on, for example, homemade and natural wines. If you believe in faults, and in your expert opinion you detect them in homemade wines, then you are going to dismiss the wines and work towards replacing them with their less faulty commercial counterparts. But on the other hand, if you refuse to judge a wine by faults and see people preferring homemade to commercial wines, you are more likely to respect the taste of those people and celebrate diversity in wine. Similarly with natural wines. As a non-believer, you do not need to fret about whether a natural wine is faulty or not. Do you like it or not? That is the important thing. Well, it is certainly one important thing, and to me the most important. Of course you may also be influenced one way or the other by the philosophy of natural wines, but that is a different issue – one I try not to get involved with. Origins are often shrouded in the mists of time, and alternative versions of the origin narrative develop. My love of wine is no different, and two stories emerge from the vinous haze. The first is more outward-looking. I started going to wine tastings as I had friends who were already enthusiastic about wine, and I was persuaded to join them. Eventually, so much of my social life involved tasting and drinking wine that I decided I wanted to learn a lot more about the subject. It was then that I started reading widely about wine, eventually focussing on what was necessary for a WSET qualification, but not stopping there. Neither did the social aspect of my love of wine ever stop. There are few greater pleasures than sharing food and wine with friends. The second story is more introverted, more focussed on a single event and, to be honest, the significance of the key moment only became clear with the benefit of hindsight. To give too many details would involve fabrication, but I distinctly remember the taste of the wine concerned, and I remember the effect it had. Its flavour was not complex or profound, but it knocked me round the mouth and made me sit up and pay attention. The flavour was petrol, the petrol of a mature Hugel Riesling. Oddbins’ shelf-talker had tried to warn me what to expect, but nothing could have prepared me adequately. The wine I usually drank at the time was pretty mainstream – probably New World, and at the posh end of what you could get in a supermarket. But petrol? Wine could taste like that too? And people sell and buy the stuff, and drink it? It took me some time to get used to the idea, but as I worked my way towards the end of my share of the bottle I realised I really liked it, and wanted more. And I still want more. I want more petrolly Rieslings, and I want other interesting and weird flavours. I want to challenge my preconceptions about what wine can and should taste like. It may come as no surprise to you that I like exploring natural wine. I find the apple flavours you can often get in natural wines rather boring, but I like the fresh bright fruit, and often the volatility and Brett too. 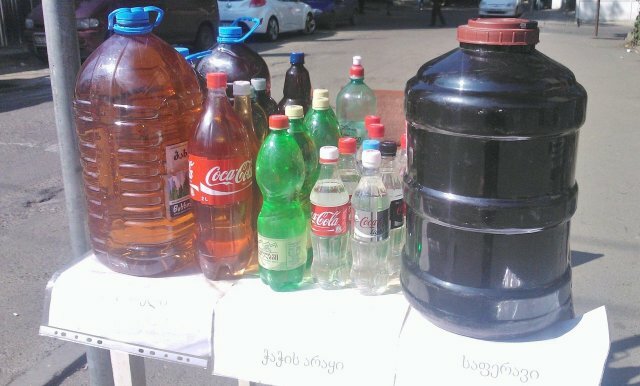 I like home-made, skin-contact, slightly cloudy Rkatsiteli, served from a jug in an outdoor restaurant in Georgia (see above image). Those wines remind me of when the whole gamut of wine was opening up to me for the first time. In Caroline Gilby’s recent book The wines of Bulgaria, Romania and Moldova, she is rather scathing of homemade wine. 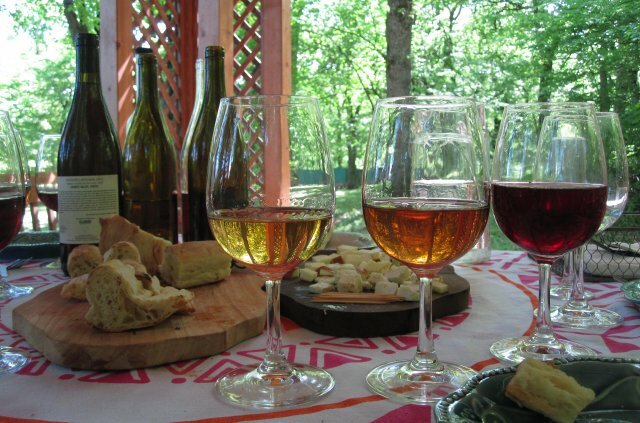 She explains how it is estimated to account for up to half the wine consumption of Bulgaria, and is regarded by the locals as an authentic product, from the heart, and free from nasty chemicals. And, as such, it is often thought to be superior to commercially produced wines. But she goes on to say that anyone from the international world of wine would see it as a horrible, faulty liquid that bears little resemblance to proper wine. Caroline proposes that drinkers of homemade wines need to be educated about how faulty they are, and persuaded to switch to entry-level commercial wines in the hope that they will eventually move on to a higher quality premium product. The story seems to be very similar for Romania and Moldova. However, my experience of homemade wine in ex-communist and ex-Soviet countries is rather different, albeit more limited than Caroline’s. Also I seem to have managed to arrive at very different conclusions – perhaps due to my different exposure to homemade wine, but I suspect also a fundamentally different attitude to wine. I have only tried one Romanian homemade wine. It was pinkish grey and had a sweet aromatic smell – perhaps rosehip and clove – with low acidity and high alcohol. It was certainly not a style I am used to, but was pleasant enough, and not faulty in any way. When in Georgia though I tried several homemade wines, in restaurants mainly, but also in one of those encounters that is probably unique to that country, where a group of builders were taking a refreshment break with a large plastic bottle of wine, and insisted on offering some to us. 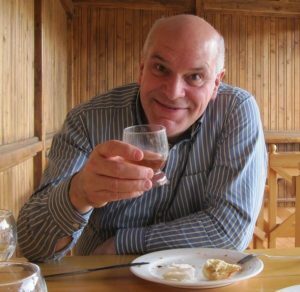 Was the Georgian homemade wine good? I thought the closest comparison was with their commercial artisanal natural qvevri wines – which for brevity I shall refer to below simply as natural wine. The worst homemade wine was as horrible as the worst natural wine, while at the other end of the scale the best homemade wine was good, but not nearly as good as the best natural wine. Hardly a ringing endorsement you might think, but given a common restaurant choice between homemade wine and a cheap wine made in industrial quantities, I would go for homemade every time, and I think most Georgians would do the same. Homemade wine is at the very least more interesting. And to the extent that authenticity and soul means anything at all I see that as a positive too. It would be interesting to know what Caroline’s view is of the commercial artisanal natural qvevri wines of Georgia. I suspect she might be quite critical of those too, so perhaps our views on homemade wines differ because I have a greater acceptance wines that do not conform to western stereotypes, and wines that we say are technically faulty. But has the presence of homemade wine held back the development of the commercial wine sector in Georgia, in the way that Caroline implies is the case in Bulgaria, Romania and Moldova? My impression is that during Soviet times, under-the-radar winemaking in homes and farms is to be credited with keeping traditional Georgian qvevri winemaking practice alive. It probably also helped preserve a broad range of grape varieties that would otherwise have died out. In that sense, homemade wine has had a hugely positive influence at a time when the Soviet Union seemed hell-bent on destroying local tradition by concentrating production in a few large wine factories, using only a handful of productive and easy-to-grow grape varieties. And I think the positive influence continues today, as experience of home winemaking seems to be a factor in giving people the confidence to try their hand at more commercial small-scale natural wine production. Even if that type of wine makes only a small direct contribution to the Georgian economy, it is still important in raising the profile of the country internationally and attracting western tourists. And what of the future? I do not see any reason to discourage homemade wine. Moving economic activity from the home to the commercial sector might increase GDP, but does not necessarily improve quality of life. Rather than encouraging the growth of the commercial sector at the expense of homemade, I would rather see wine quality improvements across the board. I am not sure green harvests are the answer, but attention to cellar hygiene must be a good thing. I suspect that Georgian winemakers at all levels already know how important that is, as there are millennia-old methods and tools for keeping qvevri clean, but the actual practice is probably lacking in some places. Not selling their wine in clear plastic bottles in bright sunshine (as in the picture above) would also help! In summary, I find the idea of homemade wine rather comforting and reassuring. I take it as a sign that there is still a real grass-roots wine culture – not one that is imposed by, or developed for, international markets. Is that so bad?